In Teary Deary's Horrible Histories: London, he claims that green grapes cause more accidents on the London Underground (I presume subway) than banana peels. However, I can find no statistics to back this up. Furthermore, all the statements seem to be exact copies of one another, indicating that they might have all came from a single false fact. I wish to know if this claim is true. This is a claim that is really easy to make. The banana peel fall: It"s a myth […] Contrary to comedic genius, […] a single peel isn't a guaranteed fall magnet. If the physics behind this gag is not as promising, then why invent such a comedic device? The early comedy cinema joke of slipping on a banana peel was a reference to slipping in horse manure. During the early days when cinema was considered an art form and they were worried that showing manure would cheapen the art, so they used a banana peel instead. […] banana peels in the streets began as a euphemism for something less edible. […] horses were the main mode of transportation. As the horses […] would leave large piles of their droppings. People were hired to clean this up, but in cities that didn’t provide this civil service, the piles sat unattended scattered through the city. Those who did not pay attention were liable to slip and fall into this rotting piles of horse manure. […] this was quite funny to onlookers. Since having people fall in big piles of horse manure on stage was both impractical and icky, the performers substituted banana peels. […] every city dweller knew what these banana peels stood for. How Did Slipping on a Banana Peel Become a Comedy Staple? People often tossed their garbage into the streets, leading to a general foul stench and public waste buildup. A fresh banana peel might seem non-threatening, but a rotting banana peel was a slime-covered booby trap. Whether or not people frequently slipped on the rotten skins, the banana peel came to symbolize poor manners. Around 1880, Harper’s Weekly admonished anyone who tossed their banana peels on a public walkway, as this would likely result in broken limbs. Slipping on a banana peel is not impossible, but unlikely. Banana skins or green grapes as a cause of accident are therefore a risk, and they will have a relation to one another. But these incidents have to be measured against the absolute risk of fall related accidents to make them meaningful. The vast majority of Jubilee Line accidents in the database appear to be comparatively minor injuries, such as cuts, sprains and bruises, which occur mostly on escalators. 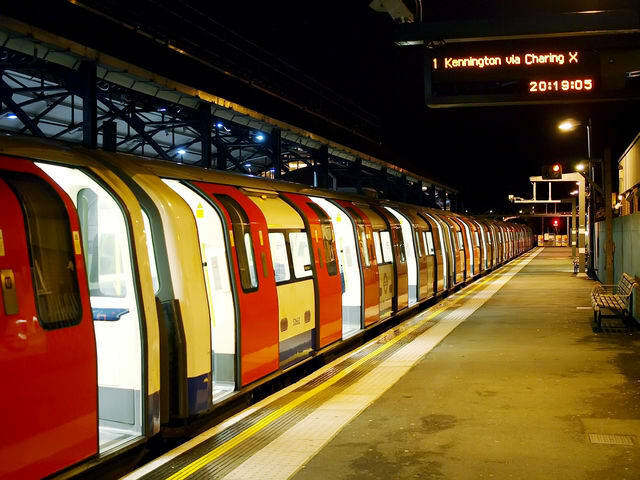 […] However, the figures also include over 50 fractures and 30 cases of dislocated joints – occurring more frequently on stairs than any other area of tube stations – as well as 15 electric shocks and six heart attacks. 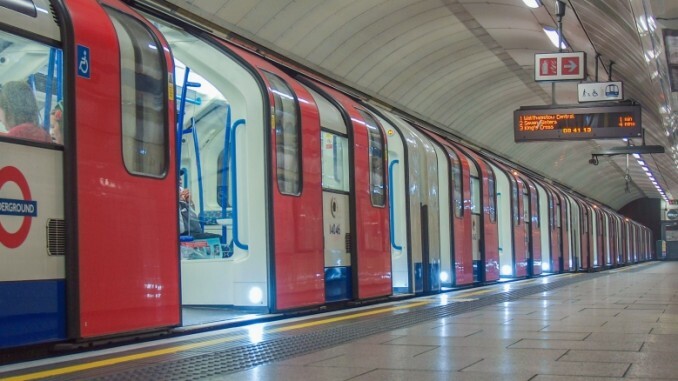 Finn Brennan, Aslef district organiser, said: “There has been a particular problem at Baker Street as the design of the new S-stock trains meant an increased gap between the train and the platform and led to more incidents of people falling between them. Embankment and Finchley Road have similar issues. This reveals the major causes of accidents: structural problems. 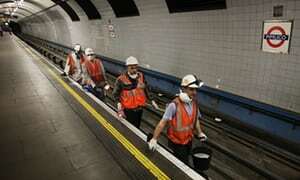 It seems that neither bananas nor grapes are a major case of accidents in the tube. Since they should be cleaned up fairly quickly in a decently run society another major cause is cost cutting, or austerity. Bob Crow from Road Transport Union RMT said: “RMT has warned repeatedly that axing station and platform based staff would lead to an increase in accidents as the crew who keep an eye out for slips and trips hazards are cut back. These shocking statistics back up RMTs worst fears. It is also statiscally proven that slipping on green grapes is the most frequent cause of accidents on the platforms and passageways of the Underground. More frequent even, and this may be surprising, than carelessly discarded banana skins; because rubbish bins are to be sought in vain on the platforms: they were removed because of the threat of the IRA hiding bombs in them, a threat that has continued from newer sources. Slips, trips and falls, which are often a result of congestion or bad weather, accounted for the highest proportion of injuries on both the mainline network and London Underground in 2013-14. This category has accounted for the highest proportion of passenger injuries in every year of the time series. The fact that the claim uses "green grapes" and that this is repeated everywhere specifically nurtures some suspicion: Why are the grapes green? Why is it surprising that a material that is softer and more moist than a banana is also more slippery? Where are the hard statistics on that instead of mere claims of fact? Do you slip on a single grape? Are green grapes more slippery than other colours? (Slipping on many grapes does occur – elsewhere – and is compensated.) The claim is repeated often, identical and never with sources. It all points into one direction: Urban legend. Since almost no-one slips on banana peels this is a straw man statistic, that might very well be true – but is irrelevant in reality today. It just serves to educate the public on morality. Not the answer you're looking for? Browse other questions tagged safety united-kingdom . Was slipping on a banana peel an actual danger in the early 20th century? Are there more than 20 million pieces of art in London's galleries?